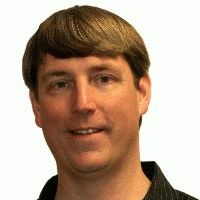 GCI Technologies, whose brands include Gemini, Cortex and iKey, announced today the addition of Mark Wilder as Vice President of Marketing. Prior to joining GCI, Wilder was the Director of Marketing with Samson for the past 5 years. As Vice President of Marketing, Wilder will create a new, worldwide marketing strategy for each brand, while developing all creative for advertising, managing media relations, tradeshows and nurture growth in artist relations. He will report to CEO Artie Cabasso. Before joining the music products industry, Wilder was a marketing professional in industries ranging from the performing arts and music education, to advertising and financial services for 12 years. He holds a Master of Music degree in composition from the Cincinnati Conservatory of Music and continues to compose and produce music for media.